BORSE TERMICHE DOPPIE Borse in PVC con saldature a tenuta stagna. Tutte le borse sono dotate di una imbottitura termica e particolari maniglie regolabili per un semplice e comodo trasporto. 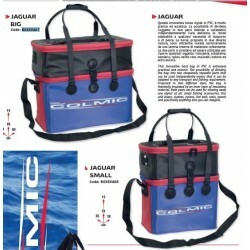 This innovative hard bag in PVC is extremely practical and eclectic. 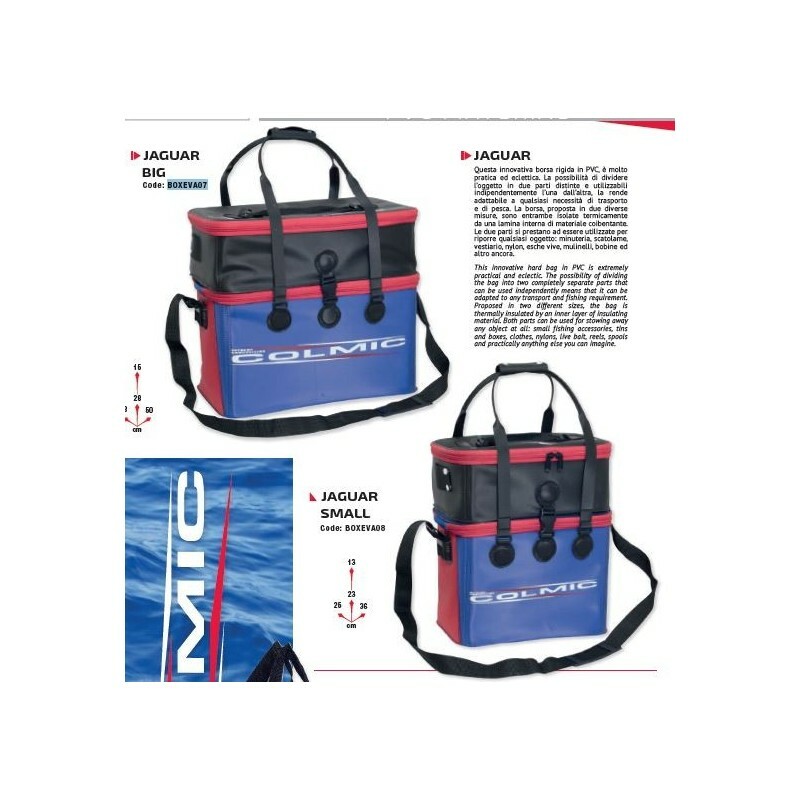 The possibility of dividing the bag into two completely separate parts that can be used independently means that it can be adapted to any transport and fishing requirement. Proposed in two different sizes, the bag is thermally insulated by an inner layer of insulating material. 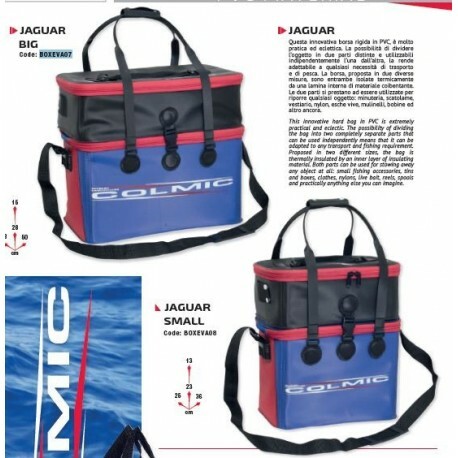 Both parts can be used for stowing away any object at all: small fishing accessories, tins and boxes, clothes, nylons, live bait, reels, spools and practically anything else you can imagine.